The organising committee’s decisions are final in all matters and may change or alter any rule or regulation on the day to benefit the smooth running of the tournament. It is the team’s responsibility to be warming up on centre court at the half time stage of the previous game. Published times are only an indication of the proposed start time but games may start earlier if time permits. Failure by a Team to be ready to start a game on time can result in a default and the Game being awarded to the opposing team. All Games must be completed within the allocated 50 MINUTE Time Slot. In the event of a game running late, the Games Commissioner may make a decision to Run the Clock if required. Each Game will consist of 4 No. 8- Minute Quarters-NON STOP IN FIRST HALF AND STOP CLOCK IN SECOND HALF. 3 No. Time- Outs permitted per Game – (Time-Out = 1 minute). 3 Minute Warm Up & Half Time will be a maximum of 2 minutes. All Games must be completed in a 50 MINUTE Time Slot. In the event of a game running late, the Games Commissioner may make a decision to Run the Clock for a portion / all of the Third or Fourth Quarter. In the event of a tied game, the five players ON THE COURT for each team will shoot one free throw each with the team scoring the most baskets being deemed winners. If the game is tied after each team has taken their free throws, the game will be decided on a sudden death shoot out with players taking free throws in the same order as the initial shoot out. Players will be disqualified after 5 Personal Fouls in any match. In games consisting of 4 Quarters, Teams will be in ‘penalty’ in each Quarter, once they reach 5 team fouls. Each Team will play 1 league game on Friday afternoon. Each Team will play 2 league games on the Saturday of the Tournament. League positions and subsequent entry to Cup, Plate and bronze competitions are decided by league position, league points and if necessary score difference. Teams will be awarding 3 points for a win, 1 point for a loss and no points are awarded for a forfeit or default. If 2 teams are tied on league points then the result of the games involving the 2 teams will resolve the tie. If 3 teams are tied on league points, then a classification is set up which only takes account of the results of the tied teams. Positions are determined by points difference calculated for each tea. 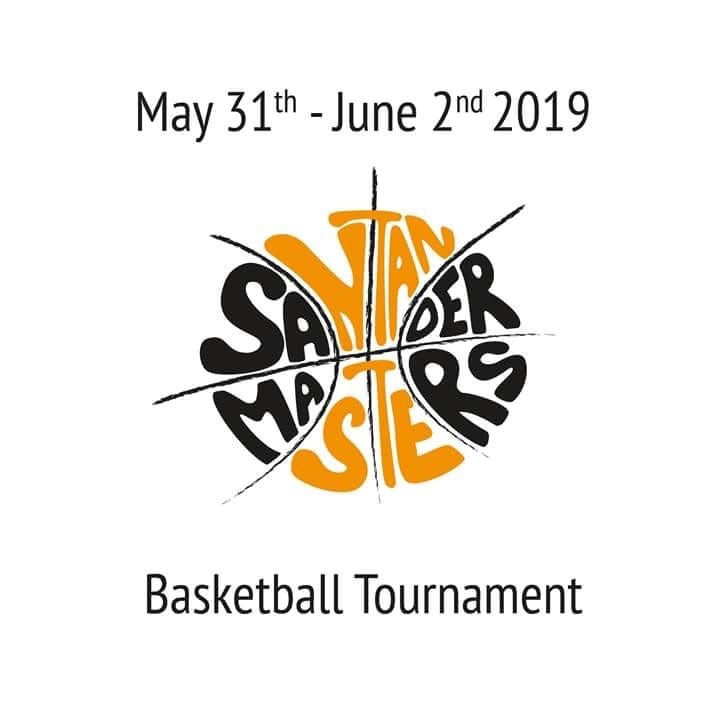 The Schedule of Games for the Sunday Playoffs will be published on the Santander Masters Basket Facebook Page on Saturday Evening the 15st of Mai on completion of all League Games. Players are ONLY permitted to play/register for ONE TEAM in any competition within the Masters Tournament. Age Limit for the 2018 tournament is that all Men & Women playing in the Mens & Women’s 40’s/50’s Tournament must be at least 40/50 by 31st of December 2018, (The 2 over 35 Players on the ladies teams must be 35 by the same date). All Players must provide their Date of Birth. Proof of age may be requested and the playing of underage players will result in immediate disqualification. (Any team is entitled to request proof of age from another team through the organising committee on the day of the tournament). In the event that a team is short of players, which would make them unable to continue to participate, the team can make representation to the Management Panel to request a relaxation of the Player Eligibility rule. This can only be considered in exceptional circumstances. It is expected that all players conduct themselves in the spirit of master’s basketball. Failure to so may incur disciplinary action. The Santander Masters Basket Association WILL NOT tolerate abuse of referees or officials and any such abuse will result in immediate player disqualification with the possibility of future ban on playing in tournaments.